The latest translation of my book The Undercover Scientist has just been sent to me. 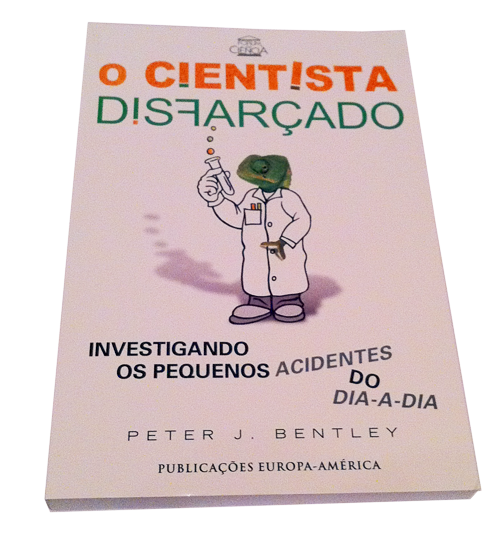 It's the Portuguese version, with its own funny cover. You can buy this version of the book from here. At the end of my book The Undercover Scientist or Why Sh*t Happens in USA, I give an email address: ithinkyourewrong@peterjbentley.com for my readers to contact me with corrections if they spot any errors. I always welcome feedback from readers, and in this case I hope I was able to help. In case it interests other people, I give the query followed by my reply below. Firstly, congratulations on producing a fantastic book. All my family (wife, and two high school children) are reading and enjoying. If thats correct then why do frozen pipes crack ?